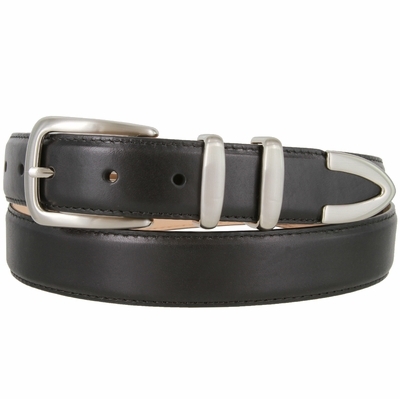 Genuine Italian Calfskin Leather Dress Belt. Four Piece Brushed Nickel Plated Buckle Set (Buckle, Two Keepers, and Tip). Belt Strap is 1 1/8" = 30mm wide with 7 Adjustment Holes. It comes with Snaps for Easy Buckle Change. Stitched Edges to Compliment the belt and Durability.